They believe that putting pressure on them is a political retaliation and interference, I believe the same to. 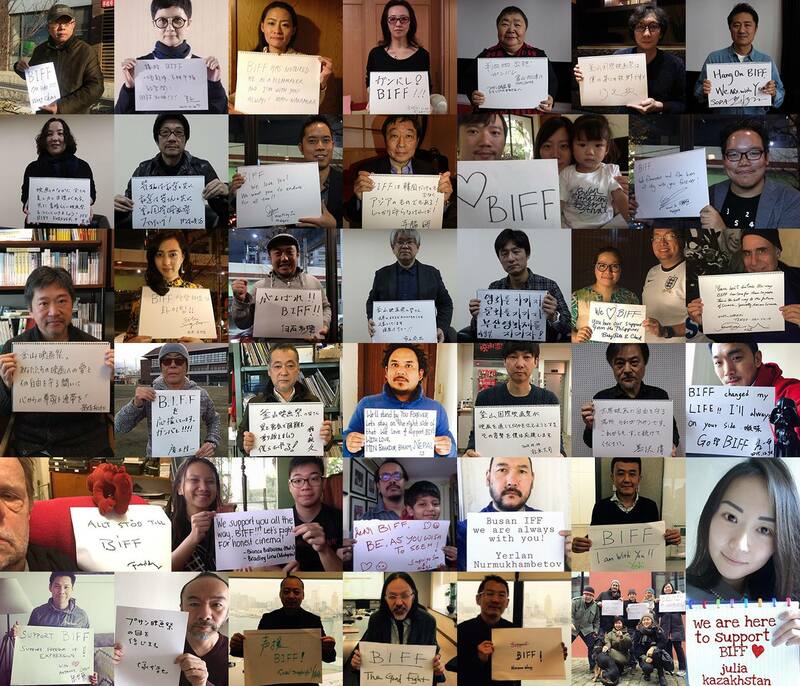 All Korean filmmakers and groups are standing tall together to secure the freedom of speech and artistic expressions, and keep BIFF from any kinds of political intervention. Filmmakers from the rest of the world are doing the same too. Over the past decade, Busan International Film Festival had played a very important role in discovering new filmmakers of Asian Cinema, and also providing a worthy platform for the greats too. Many of the Malaysian independent films that came out during the early 2000s were more or less played in this film festival, so was my short film, INHALATION, which won an award there. The tragedy of Malaysia is that it never had a proper international film festival to help educate the locals on the value of cinema, in providing a platform that could help in terms of cultural exchange and artistic development. So many of us whose films were not meant for the multiplexes generally had to look for platforms abroad. A few years ago, a local film mogul (and supposed pious Buddhist) said that people like us, "the filmmakers like us who made films solely for film festivals" generally die, forgotten and penniless. Well, I don't think he's going to carry his money to his grave either. Whilst good films will always endure in the passage of time. So it doesn't matter. We need film festivals like Busan International Film Festival to keep these movies visible. By the way, the documentary DIVING BELL: THE TRUTH SHALL NOT SINK WITH SEWOL, the film that they had tried so hard to suppress, is made available by the filmmakers on the Internet.